Using carpet to cover the floor of your home can be the best way to add the value of aesthetics and beauty. However, when you use the carpet, you should be ready to clean it every time because the carpet will be dirty when you step on it every day. The carpet may contain stain that changes the original color of the carpet. Now, you can check your carpet and clean it immediately when it looks dirty or smells bad. But, you can also hire a special stain removal and odor elimination, especially if you live in Dallas TX. Anyway, you can read these following tips on how to choose the best carpet cleaning service in Dallas TX. It is not easy to find the best service since there are so many options to choose from, but you have no idea which one is the best service. For stain removal, you apparently need to hire a special carpet cleaning service that has some professional specialists to get rid of dirt and stain effectively. Fortunately, you do not need to feel confused because you can count on Alan Carpet Cleaning as the most reputable company in Dallas for odor elimination and stain removal on your carpet. In this digital era, most of the reputable companies build their own official websites so that their customers can check the services and products they have. So, if you want to hire a carpet cleaning service, it is important that the company has a dedicated official website. This website must provide an explanation of the service offered. You can also check the cost of the carpet cleaning, other services, and the address of the company. Therefore, you are recommended to hire Alan Carpet Cleaning and you can also visit their official website for more information. It is really important to consider the satisfaction guarantee when you hire a carpet cleaning service because not all of the services can remove stains on your carpet effectively. In this case, the company must use special tools when they do their job. So, you can ask the management if they can clean your dirty carpet. Suppose they agree with it and they can make sure the stain will be removed, then you can take it. A professional carpet cleaner will also provide odor elimination to make sure that the carpet smells good. In addition to a satisfaction guarantee, it is also important to know the cost of a carpet cleaning service so that you will not waste your money. You do not need to hire an expensive carpet cleaning to get stain removal because in Dallas you can get the affordable one. Who to choose? 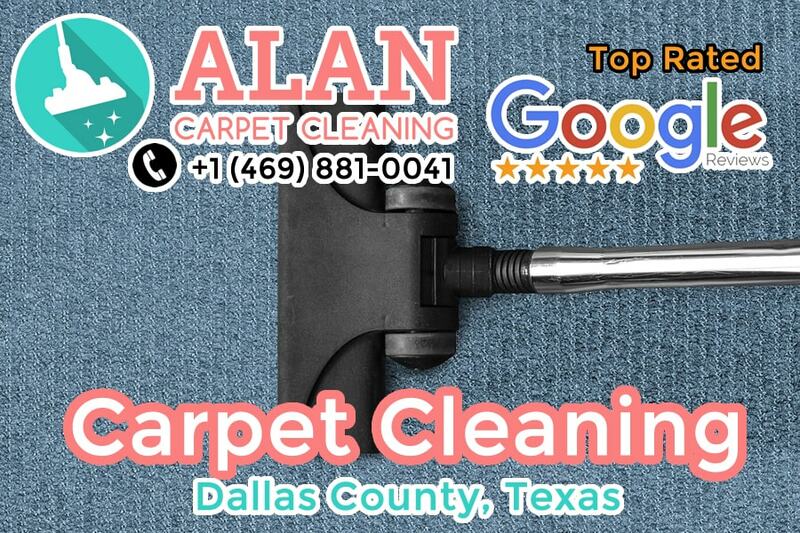 If you live in Dallas TX, you may call Alan Carpet Cleaning. You can even negotiate the cost before you hire them. Finally, those are a few tips on finding the best Carpet Cleaning service in order to get stain removal and odor elimination on your carpet. Well, Alan Carpet Cleaning is the only choice if you want to get a professional service without spending a lot of money.